Great story, Bruce. You brought back some fond memories. I remember the White days and I was a fan. 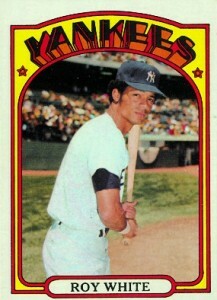 I also have that card and many of the series with the garishly ugly 70's type, an unfortunate legacy of Peter Max. By the way, there's a guy in Cooperstown who has a license plate that says "Boyzilla." Just had to let you know.